This unique bag pattern joins us all of the way from Japan. 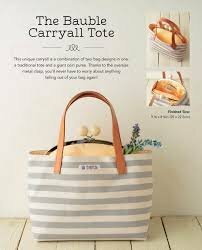 It can be used as a tote bag or a large purse. It has a retro look with a two layer design feature. This bag is roomy and the large opening will prevent items becoming lost in the bottom of the bag. Customize your tote with different fabrics, add a monogram to create your own personalized bag. Make this bag in time for Christmas or the tote would be a great gift for that special person. Choose your fabrics and you will need to add the bauble closure. Pattern is included in the price of the class. Requirements: needed the bauble clasp, fabrics to construct the tote.